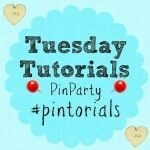 A huge welcome to Week 27 of the Tuesday Tutorials Pintorials Pin Party! 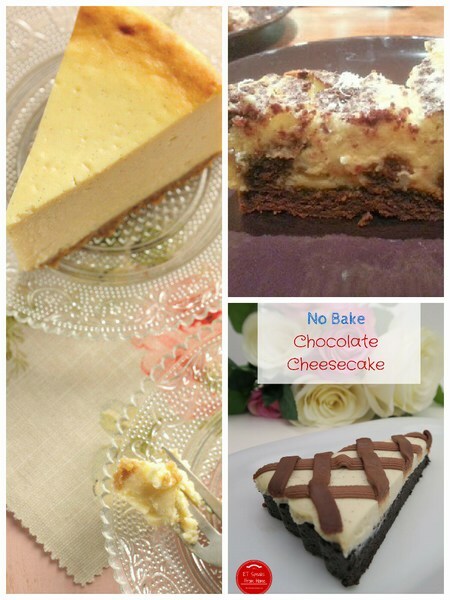 This week I am featuring three delicious cheesecakes. I have not always been such a big fan of cheesecake and only started to really love them after learning to make them. Jenny from The Brick Castle made these delicious looking chocolate cheesecake bars. So lush! Next up, Anna from In The Playroom has this fabulous Eric Lanyard baked vanilla cheesecake recipe! Delicious! Lastly, if you want a quick a no-bake recipe, why not try my recipe! It is very easy to make! Click here to learn how I made a no bake cheesecake! Don’t forget to pop by to take a look at Kate, The Boy and Me and Hodge’s (Summer art & crafts for kids) blogs to see who is featured this week. First time joining us? Simply add your posts to the linky and they will be shown across all 4 of our host blogs (myself, ET Speaks From Home; The Boy and Me and Hodge Podge Craft) and then pinned to our group board. Each week the 4 of us will showcase a selection of three posts each to feature the round up on our blog along with the next weeks’ linky. By adding your blog post on this linky, you agree to be possibly featured in a future round up on any of the host blogs, including an image. We will always be linked back directly to your post.